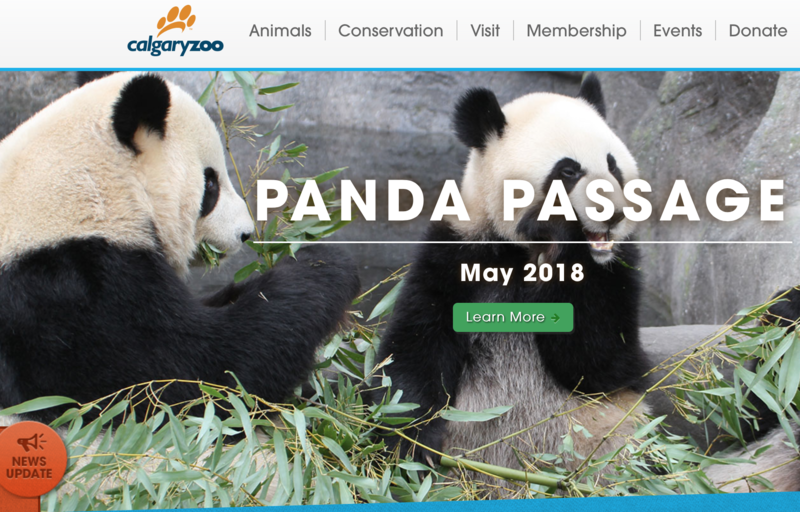 The Calgary Zoo proudly opened their giant panda habitat, Panda Passage, on May 7, 2018. The stunning state-of-the-art building will house the four giant pandas, Da Mao, Er Shun, Jia Panpan and Jia Yueyue for their five-year stay in Calgary. In designing Panda Passage, the zoo maximized the ability for the animals to have choice and control of their environment. Showcasing elements such as water features, enrichment items like logs, trees and plants helped to create a natural setting for the animals. 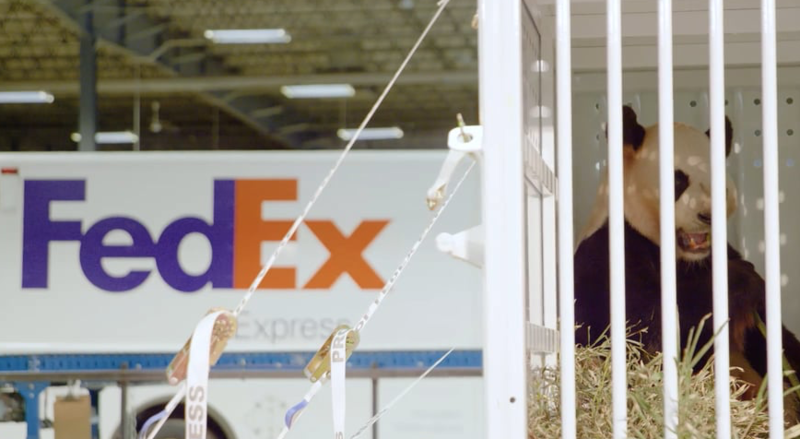 Providing the pandas with an advanced level of choice in their habitat demonstrates the zoo’s progressive commitment to providing cutting-edge welfare for the animals in its care. With fewer than 1,800 giant pandas left in the wild, caring for these four giant pandas has never been more critical. Habitat destruction remains one of the biggest threats to pandas in the wild much in the same way boreal forests and evergreen trees in Canada are a concern for wildlife in our country. More than half of giant panda habitat has been lost in the last 50 years. Giant pandas are an umbrella species and by helping to protect them, other species who inhabit their environment will also be protected. 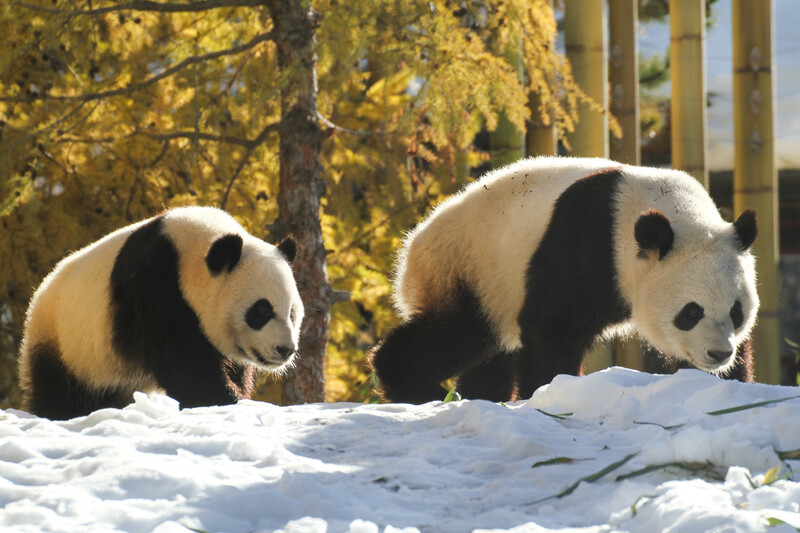 Each year the Calgary Zoo will contribute $1.4 million to the Chengdu Research Base of Giant Panda Breeding in China to support conservation initiatives such as breeding, habitat protection, reintroduction science and research. To further weave the message of taking action to protect wildlife, zoo visitors this summer will be asked to take a pledge to show their support. During the on-site programming, guests will be encouraged to raise their hand and promise to make a small change in their life. 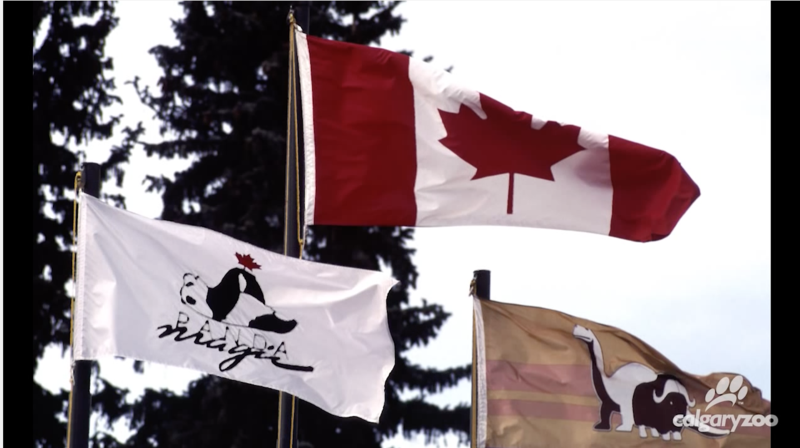 Construction on the $14.4 million Panda Passage begin 2016, with the support of the Province of Alberta and the City of Calgary. The habitat features 431 square metres of two indoor lush public-facing habitats and 1,512 square meters of two outdoor habitats. The back of house area was built to accommodate a nursing den, should Er Shun become pregnant while in the zoo’s care. Panda Passage was transformed from the former Eurasian Gateway building and will be seeking Petal certification as part of the Living Building Challenge (LBC). This provides a framework for design, construction and the symbiotic relationship between people and all aspects of the built environment. If the designation is successfully awarded, it will be the first LBC project in Calgary. In 2012 an agreement was signed between the Chinese and Canada governments for a 10-year breeding loan of giant pandas. Er Shun and Da Mao arrived in Canada on March 25, 2013 to the Toronto Zoo. 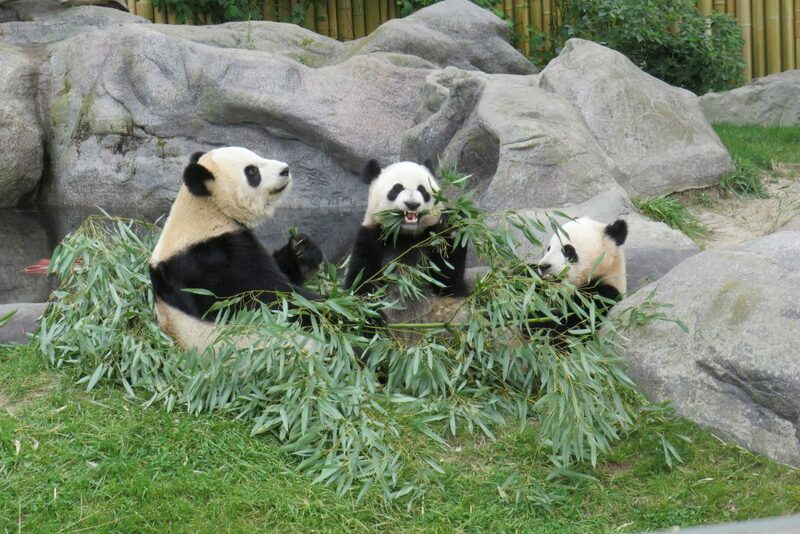 After being successfully artificially inseminated, Er Shun delivered her cubs, Jia Panpan and Jia Yueyue on October 13, 2015. These were the first giant pandas to be born in Canada. Da Mao and Er Shun will remain in Calgary for the full five-years of their stay. The cubs will return to China in approximately the next 18 months.